SAN FRANCISCO -- A website was unveiled earlier this month by the San Francisco-based California Public Utilities Commission to call on California residents to reduce energy use during The Great Solar Eclipse. At CalEclipse.org Californians can take a pledge to "Do Your Own Thing" to reduce electricity usage from 9 a.m. to 11 a.m. on Aug. 21. The eclipse that day will affect solar resources in the Pacific Northwest that supply Californians with energy. By reducing electricity consumption, power plants will burn less fossil fuel and fewer greenhouse gasses will be emitted in California when solar energy production dips during the eclipse. 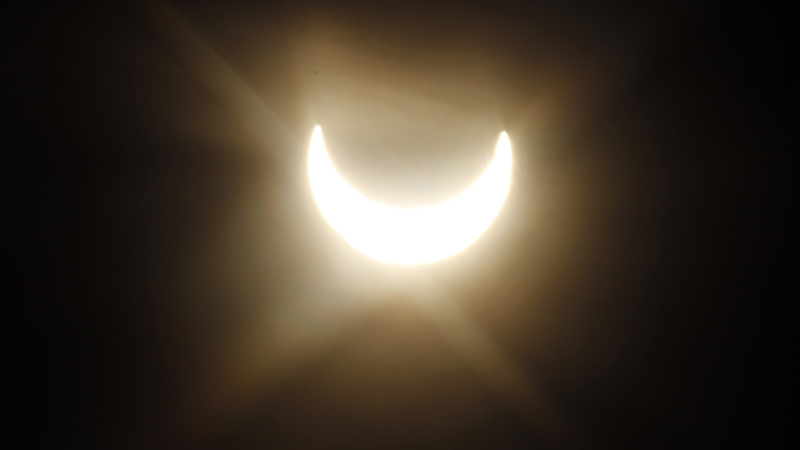 CalEclipse.org offers tips on how residents can reduce electricity usage during the eclipse and year-round. Click here for more stories and videos about solar eclipses!